Deadpool centers around its namesake, a loudmouthed mercenary aptly nicknamed “the merc with a mouth”. Deadpool is a fictional Marvel Comics anti-hero who has now taken his boisterous attitude to the gaming world. In the game, players play as Deadpool while he is creating the game. The meta-plot is Deadpool forcing the developers over at High Moon Studios to make a game about and starring him. In the beginning he is given a script and chooses to hire Nolan North as his voice actor. From there he basically takes over the game, comically breaking the fourth wall by talking to the player and calling the folks at High Moon for advice on the game’s budget. The sub-plot is Deadpool accepting a contract to assassinate corrupt media mogul Chance White. Once Mister Sinister, the game’s villain, kidnapps White before Deadpool can fulfill his contract by killing him, causing Deadpool to miss out on the paycheck associated with the contract. Thus Deadpool embarks on a revenge mission to take down Mister Sinister. Teaming up with other X-Men characters such as Wolverine and Cable, Deadpool travels to Genosha to help them out by stopping Mister Sinister’s evil schemes. The story line is bland at best, but Deadpool’s quirk and charm keep it afloat. The fact that Deadpool is aware that this is a game really makes it what it is, and the focus on him makes it entertaining even when the storyline fails to impress. Deadpool has multiple personalities which almost act as separate characters, each with distinct voices and attitudes. Between the three of them (Deadpool plus two personalities) hilarity ensues with funny one liners, comical conversations, and much debate about girls and food. With the addition of other well-known characters from the X-Men series, fans of Marvel should have a fun time playing through the game, even if it’s just for the cameos and humor coming from Deadpool. 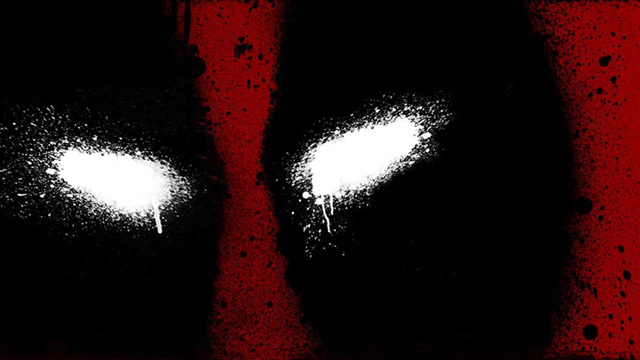 Deadpool is a hack-and-slash style game with some shooter and platforming elements thrown in. Throughout the game players will gain access to various weapons through Deadpool Points (DP for short), the points unlock weapons and upgrades to the weapons and Deadpool himself. DP can be found scattered throughout the levels and may also be collected by killing enemies. The game features a strange mix of sword and gun play for combat, which is expected based on the featured character, and while melee is a lot of fun, the gun-based combat is awkward. Melee is typical of most hack-and-slash games, though isn’t as elegant as some other games in the genre, but even with its simplicity it’s still entertaining. The addition of other weapons to use mixes the gameplay up and provides a change of pace on command, however players should be prepared for some intense button mashing with little actual skill involved. The gun combat is very unreliable and in desperate need of a good touch up. Aiming is imprecise and difficult to actually do, especially when the game throws a handful of enemies with guns in the mix who cannot be reached quickly enough to use melee combat. The only way to truly enjoy the gun play is the upgrade the guns to allow for ease of use in melee combat, called gun kata. Deadpool is equipped with a healing factor and a teleportation ability. He heals quickly but can be killed which technically breaks the character’s continuity yet makes sense in the game universe. The teleportation acts as a dodge or evade ability and can also be used to counter attacks and traverse the environment. Platforming plays a rather large role in the gameplay. Almost all of the environments allow for some jumping about in order to progress, including wall jumps and actual platform to platform traversal. While the platforming is done well in the overall sense, there are a few aspects of it that fall short. In some areas it’s difficult to actually make contact with platforms while jumping, though it never ends up being a real concern since Deadpool can teleport to avoid falling to his death. The gameplay as a whole would have benefit from a little more work as it ended up being a little more vapid than was most likely intended. Graphically, Deadpool is not spectacular though the game doesn’t really call for stellar graphical content. There are little to no glitches in the game and the presentation experience is smooth and clean-cut. The game benefits mostly from its main character and his voice actor. Nolan North did a spectacular job of voicing Deadpool and bringing his personality (or personalities, rather) to life. The game’s soundtrack generally unimpressive but not atrocious. There are a couple of songs that hit the ear in the right way, but more often than not it’s hardly noticeable while playing. The aforementioned comedic aspects of the game are indeed humorous, but for some it may become repetitive and more of an annoyance than the bad gun play. Deadpool doesn’t stop talking for long and if the player finds his humor to be not very humorous then they will definitely find themselves more irritated than pleased with his incessant jibber jabber. In conclusion, Deadpool is a very entertaining game but falls short on many of its foundation-forming aspects. If you really love the character and the universe then it’s a must play, others may find it to be less than captivating.